At CHS , we’re proud members of the communities we’re a part of and want to see them thrive. Our members give back by volunteering and donating to local organizations. 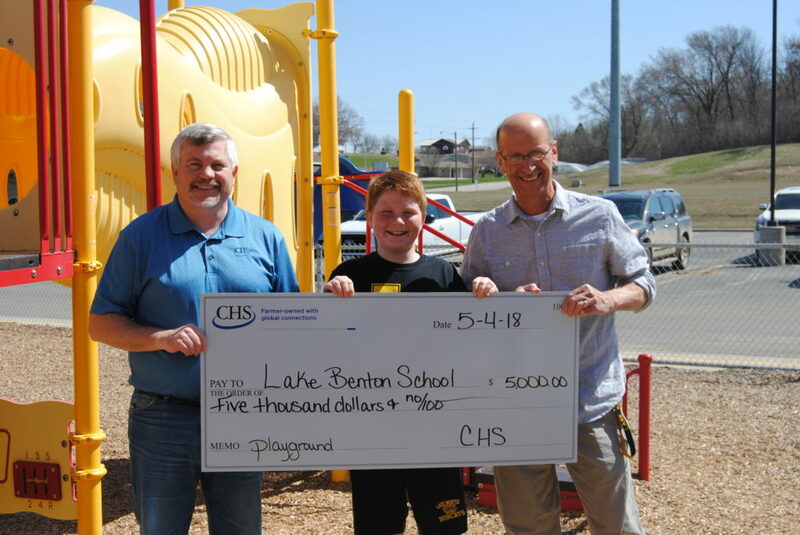 CHS Elkton is proud to support Lake Benton Public School for the new playground equipment. By matching our contribution with a CHS Seeds for Stewardship grant, $5,000 was donated to help our community thrive.